Kirkstall Forge has carried great historical significance in the city of Leeds. Dating back to the 12th Century its rich heritage includes metal works, iron production and engineering, and once the canal and railway arrived, Kirkstall Forge became a key site in the industrial revolution. 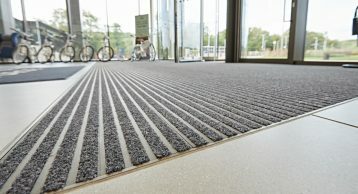 Find out how our Entrance Matting is playing a crucial role in keeping the internal aesthetics looking their finest. It is now a pioneering new place where the 800 years of history meets modern technology and open new opportunities. 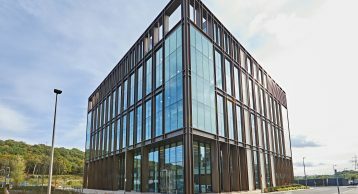 The site is now a Grade A office premises opening onto carefully planned landscapes, it is also the first office building in Leeds to achieve a Platinum Rating from WiredScore which gives the building the best digital infrastructure. The building also boasts Excellent BREEAM ratings. From digital Infrastructure to physical infrastructure the dedicated mainline railway station links directly to Leeds City Centre, making it easily accessible. Such a high-quality building deserves to be kept in the best condition. 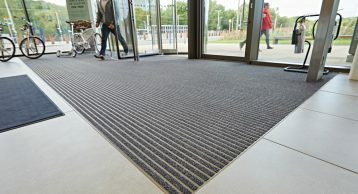 To help maintain the internal aesthetics of the reception we installed the Entrance Matting. By doing this we are helping the building reduce the ingress of dirt and moisture that can often be dragged in via foot or wheeled traffic. 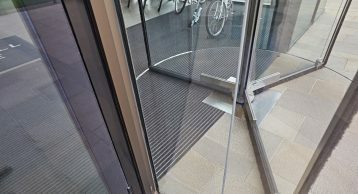 Our INTRAform Low Profile Entrance Matting especially in Bronze Anodisation adds a touch of class to the reception and enhances the building space. Kirkstall Forge claims full DDA compliance and our matting works with other elements of the building to do just that. 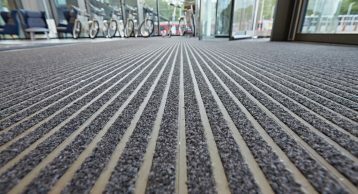 All our Entrance Matting is fully DDA compliant and manufactured using the highest quality recycled aluminium and recycled Econyl Yarn. 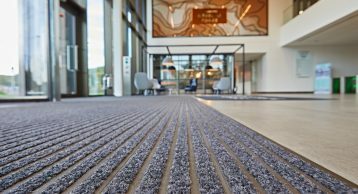 We take Entrance Matting seriously and our vision to Enhance the buildings by design is helping buildings like Kirkstall Forge achieve Excellent Ratings in areas of sustainability and make a stunning first impression on every visitor. 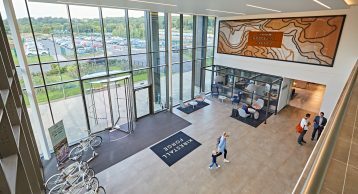 The INTRAform Low Profile option that was selected in the Entrance of Kirkstall Forge is excellent for areas with restricted matwell recess it offers all the benefits of a heavy-duty matting system in performance, appearance and longevity. Working with architects and interior designers, we have created bespoke solutions that truly befit the building design, making the entrance distinctive and even iconic. From the germination of an idea to meticulous implementation, attention to detail and uncompromising performance remains paramount. 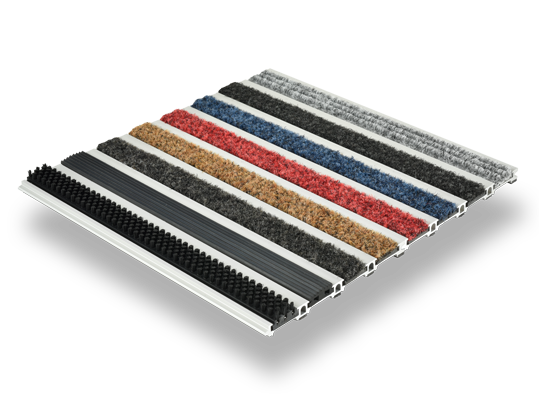 Whether you need ribbed matting, drainable support systems or built in entrance carpet, INTRAsystems can help. Excellent for all areas with restricted matwell recesses or surface mounted applications – offering all the benefits of a heavy duty matting system, in performance, appearance and longevity.